Our team at Air Charter Advisors specializes in medical charter flights, air ambulance and non-emergency private flights. During difficult times when you or a loved one needs to arrange a private medical flight, our team stands by your side from the time you book until well after arrival. 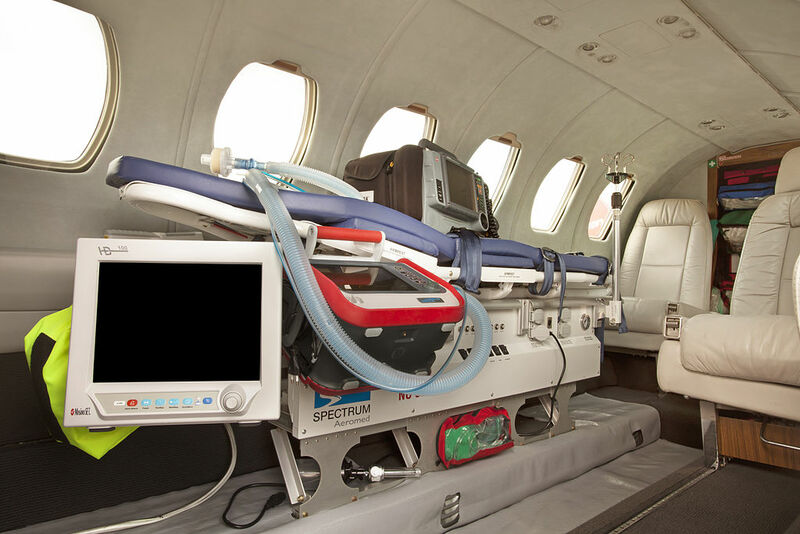 ACA co-ordinates with all of the necessary medical teams and professionals to gather all of the documents required, and we handle all of the travel logistics, including ground ambulance, bed-to-bed transportation and other special requirements to make your medical air charter flight as comfortable and seamless as possible. “I can’t thank Air Charter Advisors enough. Over Christmas, I found out my dad had a serious onset of infections, clots, and ulcers while we were on a cruise. He and my mom were pulled from the cruise and stuck in a Dominican Republic hospital. After my mom directed me to “get them home asap”, I literally googled ‘how to get a medical airplane’. That was 9am Thursday Dec 29th. The third website I looked over was Air Charter Advisors. So I called the 888 number on the top right and they answered. I could go on and on about how helpful, sincere, and professional they were…but the proof is in the results: Just 27 hrs. after my initial google search, my mom and dad were on a private air ambulance Learjet 35 headed home to Naples, FL from Puerto Plata. If you have any questions about our medical air ambulance services or need to arrange a medical charter flight or non-emergency private flight for you or a loved one, please contact us back e-mail or call us at 1-888-987-5387. We also have direct access to a Challenger 604 Long Range Private Jet equipped with a hydraulic wheelchair lift, one of the only jets of its kind on the charter market. We’re available 24-hours in the event of an emergency, and we understand how stressful and difficult these situations can be. Allow our experienced team of Air Charter Advisors to handle all of the transportation and logistics so you can focus on what matters.